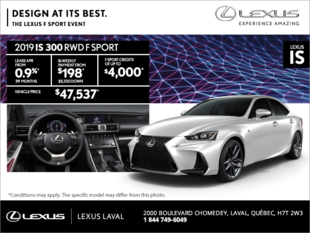 At Lexus Laval, we want to help you save money. That's why we offer you a wide variety of discounts and promotions on our after-sales services including maintenance and detailing, as well as on our original Lexus parts and accessories. 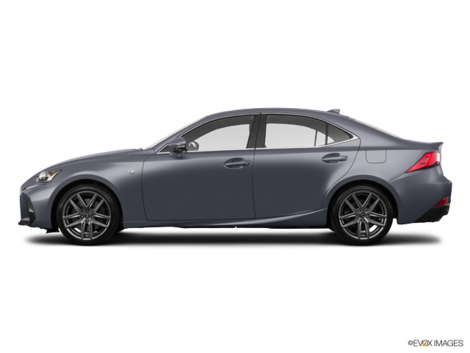 In our sales department you will also find several discounts on the purchase of a new Lexus vehicle in addition to low interest rates on the purchase or lease of a new or pre-owned Lexus vehicle. Every month, Lexus Laval renews its promotions, adding brand-new offers that will help you and your family save money. We also have discounts and special offers on our seasonal packages as well as on our winter and summer tires. At Lexus Laval on the North Shore of Montreal, it's never been so easy to prepare your car for the new season. To find out more about our promotions and discounts, you can join our Facebook page or subscribe to our newsletter. 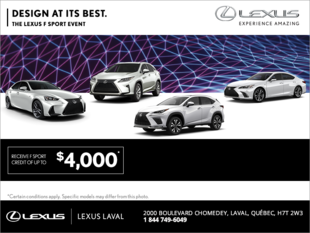 And be sure to check back regularly on our website to learn more about the latest promotions offered at Lexus Laval. For more information, contact us today at 1 844 749-6049, or make an appointment online through our contact form!